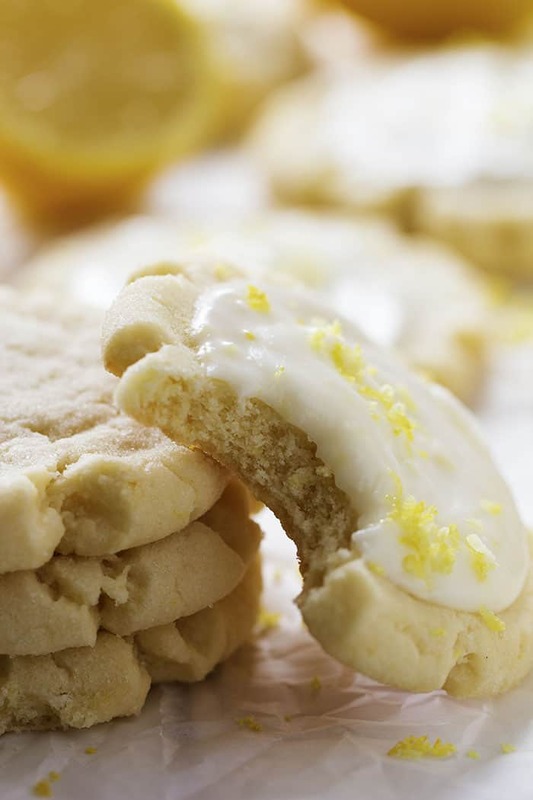 Amazingly soft and perfect lemon sugar cookies with the best lemon cream cheese frosting on top! I am not even going to admit how many of these I ate. But I couldn’t stop eating them! I loved everything about these cookies. 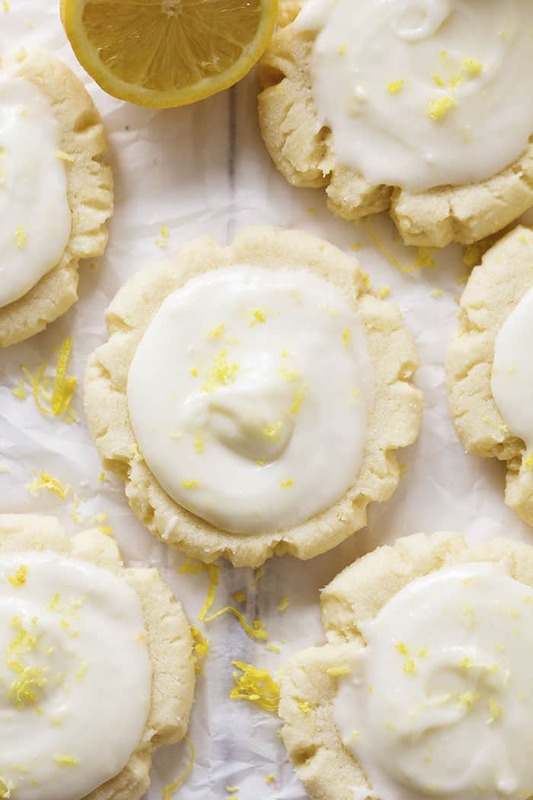 And the added lemon flavor and lemon cream cheese frosting made these cookies out of this world. Rewind to the first time that I had my first Swig Sugar Cookie. I went on a road trip with my friend and these swig cookies were the talk of the town. We were so excited to try our first swig cookie. Was it worth the five hour drive? Yes! Swig cookies are AMAZING! They are so soft and the frosting on top is creamy and delicious. So naturally I had to put a recipe for them on the blog. They tasted just like the real thing and even had their signature rough edge. I was in heaven. So last week my family was craving a batch of Swig Sugar Cookies. But I decided to add lemon to them. HOLY YUM! These are incredible with the lemon flavoring added to them. 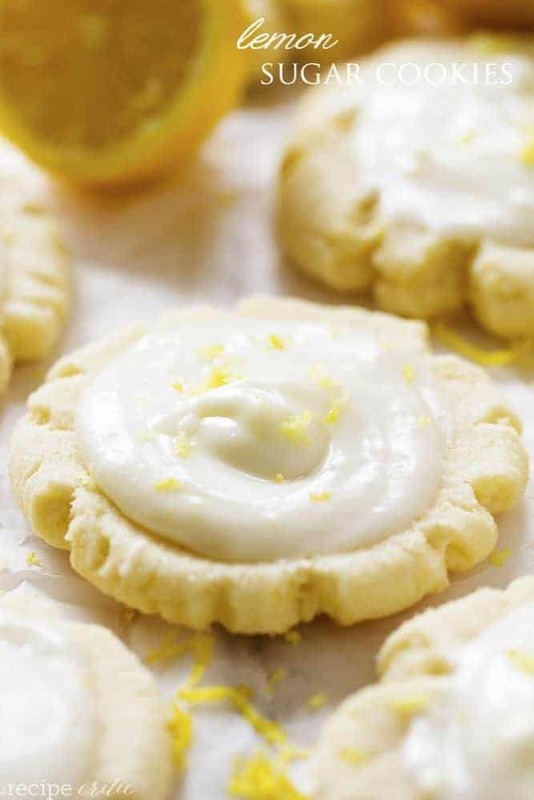 And since I am a huge lemon lover, I loved these even more! To give the cookies their signature rough edge, dip the bottom of a glass into the reserved ¼ cup sugar and press onto the cookie ball to flatten the cookie. You still want the cookie to be thicker so don't press them to thin. 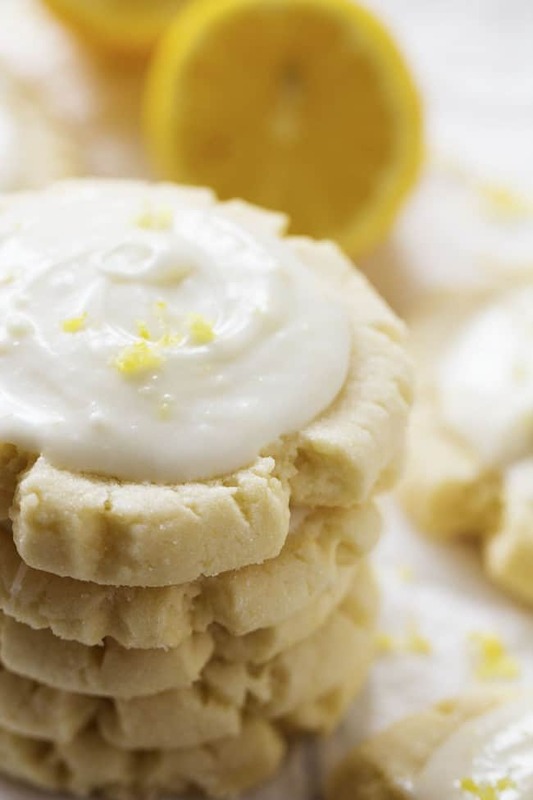 To make the lemon cream cheese frosting: Beat cream cheese, butter, lemon juice, lemon zest, and vanilla together until smooth and fluffy. Add confectioners' sugar. Beat until creamy. Hi, Im in Australia and presuming the cup measurements are US cups, which I can convert to grams, but I notice the recipe says 5 1/2 C flour…. is that correct… it just seems like an awful lot of flour compared to the amount of butter/oil.. also could i use all butter.. not keen on veg oil! Awesome questions I would like to know as well. A benefit I’m helping hoast is having a bake sale to raise money and if they are stackable I would love to use these!! Would love to know if these are stackable? Does the frosting harden?? The frosting stays pretty soft.. These were delicious! My whole family loved them. Storage is a bit tricky, but well worth the effort. Made these cookies and they are SO GOOD!! They turned out perfect! Thanks for a great recipe! Must I refrigerate these cookies? These are so good! The lemon is perfect and they might just be a new tradition! Thank you so much!